No matter what type of property you're after, a white-washed villa on the sun drenched shores of the Med or a slick city apartment overlooking the Sea of Marmara, Turkey has it covered. With more and more foreigners now choosing to invest in Turkey and exchange rates very much in foreign favour, now is the ideal time to buy a property in Turkey. Why a property in Turkey? Turkey has been a popular property investment location for decades. The country ticks the right boxes and serves up far more than many other European locations - plus it's affordable, your money stretches further. Current exchange rates mean life is easy in Turkey, the cost of living a fraction of that in the likes of the UK and much of Europe. The country’s size ensures a diverse choice of locations, and first class facilities and excellent transport links mean all the necessities are at hand and it's easy to pop back home if you fancy. "We are seeing more and more foreigners forgoing property elsewhere in favour of Turkey" says Tolga Ertukel, Director of Turkey Homes. 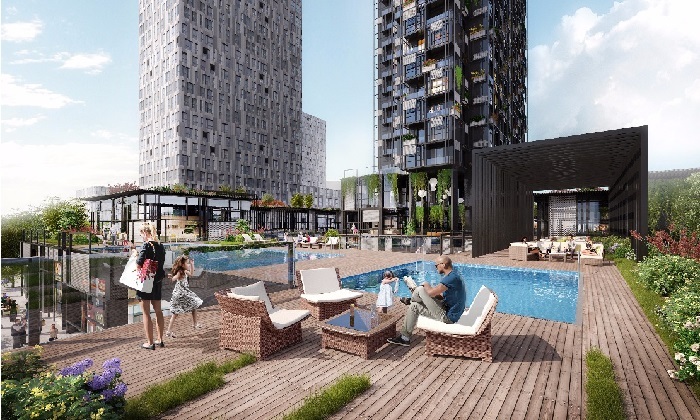 "There's a wealth of affordable apartments and villas in Turkey for those seeking a lifestyle move or coastal holiday home, and for investors focused on income, the property for sale in Istanbul, where housing shortages ensure a constant rental demand, can bring in premium returns". Turkey boasts some of the most pristine beaches and bays in Europe. A drive along the coast and you can't help but be wowed by the scenery. The southwest coast in particular homes many wonderful locations. From chic towns with their own international airports like Bodrum and Antalya, to smaller, more boutique locations like Fethiye, there's a destination and property in Turkey sure to impress even the most discerning property investor. Bodrum is trendy. Recent years has seen Bodrum morph from a traditional town into one of the Turkish coasts most desirable peninsulas. Areas such as Yalikavak, 18 km from the historic centre of Bodrum, now homes a fabulous arts scene and first class marina. Stars stop by on their yachts, the rich and influential now have holiday homes tucked away behind fancy gates. Yalikavak is a sought after postcode, it's the place to stroll on an evening along the waterfront, dine in superb restaurants and soak in the sun with a glass of bubbly. For property investors it's a good deal, a location where properties range in price from affordable to extremely expensive. There's chic modern apartments on complexes suiting those with a modest budget and luxury mansions with seven figure price tags for those with more in their pockets. Turkbuku is another such location, where homes with smart technology and helipads attract the business tycoons and megastars. For those seeking a more relaxed life Gumusluk should be considered. Once known as the ancient city of Myndos, the ruins can still be seen in the clear waters in the centre of the bay. This pretty village is famed for its seafood with many people travelling from near and far to dine in the local restaurants. Gumusluk is laid back and the property for sale in Gumusluk is too, a full range of property available at reasonable prices - although values are increasing fast. For more information on Bodrum, please see our Bodrum Area Guide. The historic town of Fethiye is quaint and sophisticated. Just 40 minutes transfer from Dalaman International Airport, it's perhaps best known as home to the Oludeniz Blue Lagoon, the beauty of the famed sandbank luring tourists to the area since the sixties. 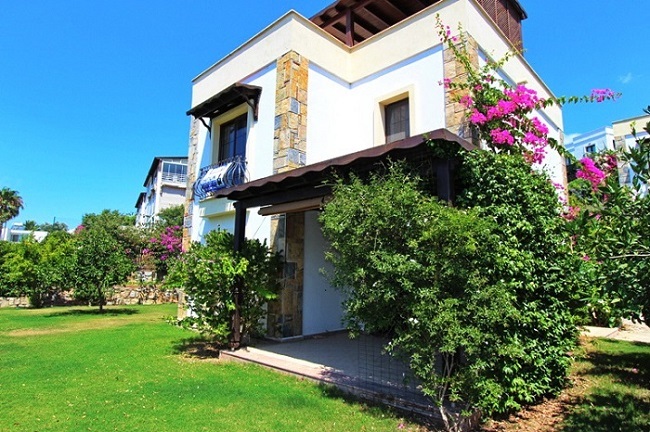 There are a number of popular locations for property in Fethiye, Calis and Ovacik perhaps the most well known. Ovacik is a mountain side resort and one of the closest residential areas to the famed lagoon (10 minutes bus ride away). A property in Ovacik is ideal as a buy to let or as a holiday home, it's also great for those looking to make the move more permanent. Calis, on the flat just around the bay from Fethiye Town, is also great for those that want to retire or live in the area. Serving up a long beach and superb sunsets, here you can forgo a car in favour of a push bike and immerse yourself in an expat or thriving holiday community should you wish to. See our Fethiye Area Guide for more info. Chances are if you are considering a city investment you have capital gains and rental returns in mind. Istanbul serves up both. Istanbul is home to almost a third of Turkey's population and resident numbers are growing daily. Housing shortages ensure a constant rental demand and new urban areas are sprouting up across the city to cope with demand. Add to this the opening of Istanbul's third new airport set to eventually cater for 200 million yearly passengers, and a new canal project linking the Black Sea and the Sea of Marmara proposed, and you start to see why so many savvy investors are buying up apartments in Istanbul. Recently, the European side of the city has seen a boom in development. Areas such as Gunesli and Bagcilar, within easy reach of the Basin Express Road and new business district, are popular choices. With a variety of off-plan, part built and complete projects on offer, prices range from as little as £49,000 for an apartment in the area. Many other locations are also on offer both on the European and Asian side, for more info see our Istanbul Area Guide. No-matter if you're seeking a lifestyle change or a city investment, Turkey has an array of properties to suit. If you would more information on property in Turkey, or to speak to one of our regional specialists, please contact Turkey Homes.